The week started out pretty badly for Demi Lovato who hospitalized for a lung infection on Tuesday. According to TMZ, the 22-year-old singer was having "significant trouble breathing," so a friend drove her to the hospital. Upon being admitted to the emergency room, doctors reportedly determined that her problem was flu-related, and gave her medication to treat her infection. Lovato seems to be on the road to recovery now, though. Her rep told Us Weekly on Wednesday that Lovato "returned home soon after her ER visit and is feeling much better today." 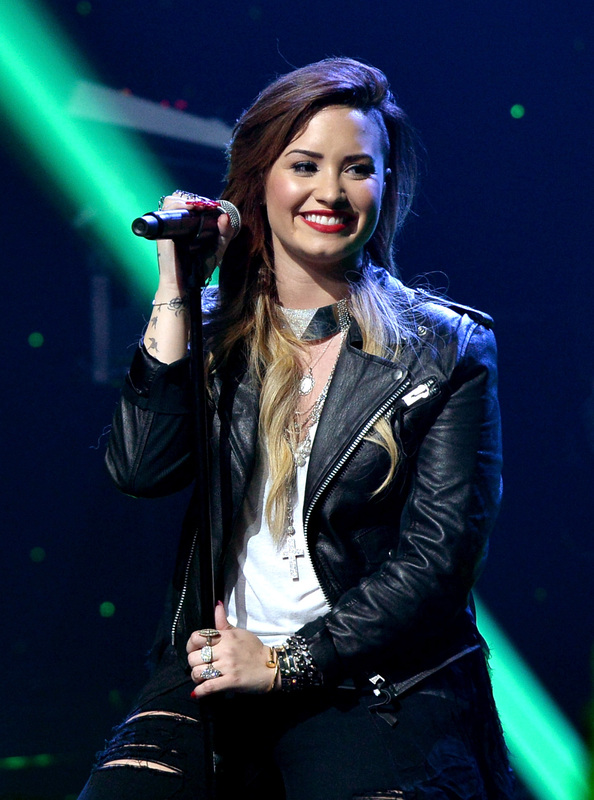 That's good news for Lovato, and for her millions of fans. The Lovatics, as they call themselves, took to Twitter after hearing the news and trended the hashtag #GetWellSoonDemi to send love their idol's way. Being sick is already the worst, but TMZ is also reporting that the hospital visit had especially unfortunate timing. Apparently it forced Lovato to cancel a studio session with a big-time producer. Although this illness could possibly delay her upcoming album, Lovato's fans know better than anyone that her health should come before her music. In 2011, Lovato tweeted about the importance of her fans supporting her well-being first, and it's a message that's still relevant today. Fortunately it seems her fans have listened. The #GetWellSoonDemi hashtag isn't full of people hoping Lovato heals so she can get back in the recording studio. Rather fans are just hoping she gets healthy for her own sake. It must be nice for her to know that she does have the kind of fans who are more worried about her getting healthy, than they are about the disruption to her album. Chalk one up for the Lovatics, who are being the kinds of fans I'm sure any celebrity would be proud to have.